Services - Deblo Industries Ltd.
We have been involved in fire hydrant maintenance for 46 combined years and have an excellent history of satisfied customers. We offer, once or twice a year inspection for all makes of fire hydrants, call or contact us for special pricing. 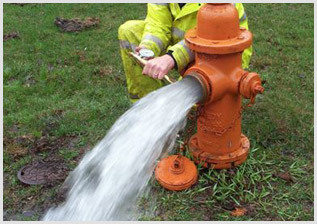 In the event that a fire hydrant is damaged and/or faulty, please call us for an estimate. For many insurance policies, it is very important to maintain your fire hydrants in reliable working order. If you require further information, please do not hesitate to call us.